Ubisoft Brings us another new title showing there not afraid to take risks when it comes to trying something new. For Honor brings us some of histories greatest and noble warriors, the Vikings, Knights, and Samurais squaring off in a history battle royal. For Honor is a great concept with a wonderful, fresh and unique battle system that delivers well. You start off the game creating an emblem on a shield, after that is complete you have the choice of playing through single player or multiplayer; there is no really point in playing single player unless you want to unlock stuff (This is mainly a Multiplayer game). From there you can choose which multiplayer mode you want to take part in, duel ( 1 VS 1), Dominion ( 4 VS 4), and Brawl ( 2 VS 2). I really enjoyed playing duel the most the other ones I was carrying the people I was playing with and then getting destroyed; after you choose the mode you want to play you choose the faction you want to represent, and from there you can choose three or four different warriors from that faction that are all unique with different weapons and move sets. 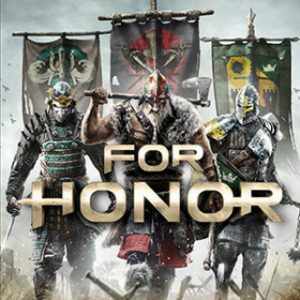 For Honor is a solid game with a cool concept and great gameplay, but it suffers terribly from the peer to peer network it can take minutes to connect to an opponent, while in game your opponent can glitch out on you so much making it impossible to play and giving you a loss that is a huge problem.